Are you thinking of sprucing up the look of your home? There is no better place to start than renewing your old weathered floor. Changing your old warped or scuffed flooring to a new modern option will instantly enhance your home’s interiors and give your home or office a brand new look. Floor installation is one of the most valued home improvement projects and even has the potential to instantly elevate the market value of your home. JR’s Carpet and Flooring is a premium flooring contractor and we only furnish and install upmarket items so that your flooring will look superior and classy. We also work within your budget and offer competitive pricing, so that no apprehensions are necessary. We NEVER persuade customers to replace their flooring when the old option is still fixable. 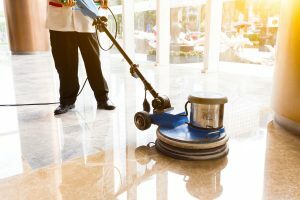 Instead, we will remove scuff marks and warps from your flooring, making it look brand new while extending its longevity. We provide residential flooring and commercial flooring options in Waldorf, MD, and the surrounding areas, including St. Charles, La Plata, Indian Head, Calvert County, and Prince Frederick, MD. Another point worth mentioning is that our flooring repairs are backed by a one-year warranty, bet you haven’t heard of that one before.